Persistent sleepiness regardless of sleep of adequate duration (non restorative sleep). Acupuncture can help beat insomnia as it stimulates the nervous system which causes a release of neuro-chemical messengers which influence the body’s homeostatic mechanisms, and this promotes physical and emotional wellbeing. Stimulation of certain acupuncture points has been shown to affect areas of the brain that are known to reduce sensitivity to pain and stress, as well as promoting relaxation and de-activating the “analytical” brain which is responsible for insomnia and anxiety. Increasing nitric oxide synthase activity and nitric oxide content, promoting normal function of brain tissues, which can help to regulate sleep (Gao et al 2007). Regulating levels of neurotransmitters (or their modulators) such as serotonin, noradrenaline, dopamine, GABA and neuropeptide Y; and altering the brains’ mood chemistry increasing relaxation and reduce tension (Lee 2009, Samuels 2008, Zhou 2008). 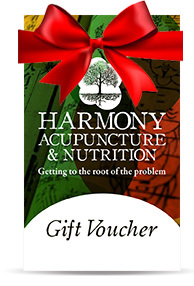 Here at Harmony Acupuncture we have extensive experience with insomnia and many patients experience a huge improvement in their sleep even if it was not the main condition they came to us with in the first place. Acupuncture has transformed me physically and mentally. My digestion is better than ever and my energy and sleep pattern has been the best in years. I would definitely recommend it.